Friends, I have a great news for you. Wondering what? One lucky reader of Nithu's Kitchen will win Uprinting Post Cards. Please go through the rules and leave comments to try your luck for this wonderful giveaway from Uprinting. Thanks to Uprinting for this great opportunity. 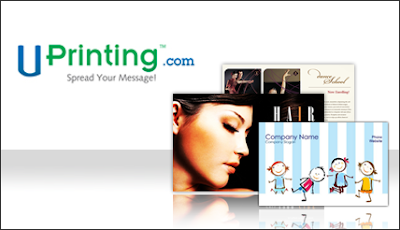 Uprinting is an online printing company. They have been in business for 25 years. Their unique services includes postcard printing and marketing . They do have great selection of other print items like business card, brochures, flyers and posters. In simple, Uprinting fulfill your individual printing needs to business related printing needs. Uprinting is very generous to offer 100 4x6 Post Cards, on a 14pt Cardstock Gloss with 4 Color Both Sides Printed to one lucky Nithu's Kitchen's reader. This giveaway is limited to US residents who are 18 years old and above only. 1. Visit their website and comment here on this post to let me know the ways you would use the post cards if you win. Please leave your email id in the same comment. 2. You should follow Nithu's Kitchen publicly through google friend connect and comment in this post. 1. Subscribe to Nithu's Kitchen via Feed Burner. Leave a comment about it in this post. 2. You can blog about this giveaway and leave a comment about it with the post link here. I was not compensated in anyway for this post and all the opinions in this post are 100% mine. I'l only receive a Blogger appreciation prize after posting this giveaway. Nice giveaway Nithu. I liked their postcards. Nice Nithu. Unfortunately this seems to be only for US residents. I am a Canadian Citizen, not sure how I can participate. Thanks for thinking of me. I will forward it to my friend who is a US resident though. That's a nice giveaway Nithu. Will surely participate Nithu and good luck to you! Will use my postcards for personalized party invites.